James Dennison is a third generation stone mason. He learned the trade from his father and grandfather and now his own children are learning as part of Astonia Landscaping, a Unilock Authorized Contractor based in Whitby, Ontario but working all over Southern Ontario. “I wasn’t always with Unilock. In fact, I sold against them for a number of years before I recognized the advantages they brought to a project – the quality of their materials, the lifetime guarantee and their attention to detail from the earliest stages of a project right through to completion and beyond,” says Dennison. 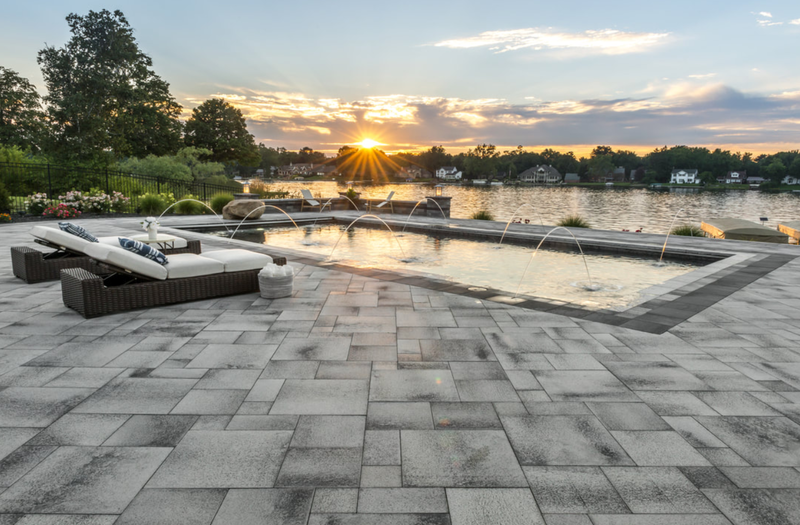 Dennison explains that recent trends have seen a lot of homeowners in the GTA opting for a “family focus” when it comes to their backyards. 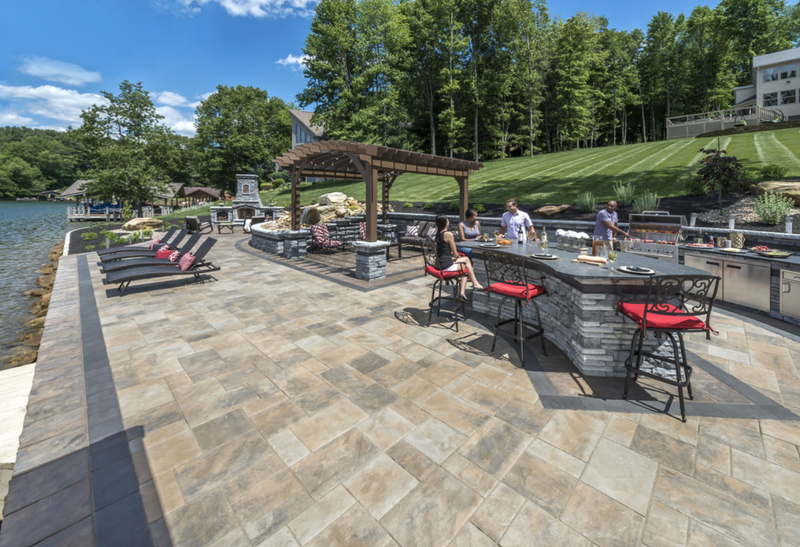 Pools, patios and outdoor kitchens have become very popular to create usable family spaces. There is a growing trend to build a “backyard oasis” with all of the amenities right at home. A typical Astonia Landscaping job starts with that lead from Unilock. It is imperative that homeowners are aware that the key to longevity on a project is proper excavation, base materials, drainage and grading. This is a critical point in any size project and a Unilock Authorized Contractor follows and or exceeds industry standards. “We install a base that’s at least a foot wider for the entire project so that the bricks on the perimeter don’t roll off the edge and increase that to 20” for driveways,” says Dennison. Unilock provides a 2 year workmanship Guarantee when homeowners hire a UnilockAuthorized Contractor. Dennison says that Astonia Landscaping provides a five year guarantee on their own work. They check back after the first frost to see that everything is performing as it should and stay in touch with clients for years. For more information on Astonia Landscaping visit them online at astonialandscaping.ca.